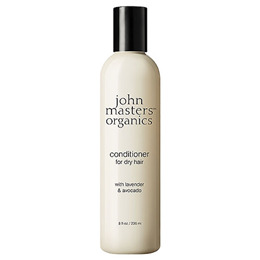 For Dry / Damaged Hair: John Masters Organics` Conditioner for Dry Hair with Lavender and Avocado is an intensely hydrating, silicone-free conditioner. This natural hair product was specifically formulated to help treat dry hair in multiple ways: to intensely condition and hydrate dry, brittle locks without weighing them down, to help increase hair’s ability to bind and retain moisture, and to help soothe strands from roots to tips for shiny, soft, healthy-looking hair. Aloe Barbadensis (Aloe Vera) Leaf Juice*, Cetearyl Alcohol, Glycerin, Aqua (Water), Lavandula Angustifolia (Lavender) Oil, Persea Gratissima (Avocado) Oil*, Orbignya Oleifera (Babassu) Seed Oil*, Tocopherol (Vitamin E), Panthenol (Vitamin B5), Juniperus Mexicana (Cedarwood) Oil, Simmondsia Chinensis (Jojoba) Seed Oil*, Cymbopogon Martini (Palmarosa) Oil, Mel (Honey)*, Helianthus Annuus (Sunflower) Seed Oil*, Wheat Amino Acids, Hydrolyzed Rice Protein, Arnica Montana (Arnica) Flower Extract*, Chamomilla Recutita (Matricaria) Flower Extract*, Camellia Sinensis (White Tea) Extract, Calendula Officinalis Flower Extract, Behentrimonium Methosulfate, Stearalkonium Chloride, Sodium Benzoate, Sorbitol, Citric Acid, Potassium Sorbate, Cetyl Hydroxyethylcellulose, Caprylic/Capric Triglyceride, Linalool +, Limonene +, Geraniol +. Apply to wet hair, leave in 1 to 3 minutes, then rinse. Below are reviews of Lavender & Avocado Conditioner - 236ml by bodykind customers. If you have tried this product we'd love to hear what you think so please leave a review. Sadly, this product did not work for me. Left hair very dry, very soft and VERY fly away. Great to be able to buy a sample of this conditioner. Smells very nice and does a good job of conditioning the hair with organic ingredients. 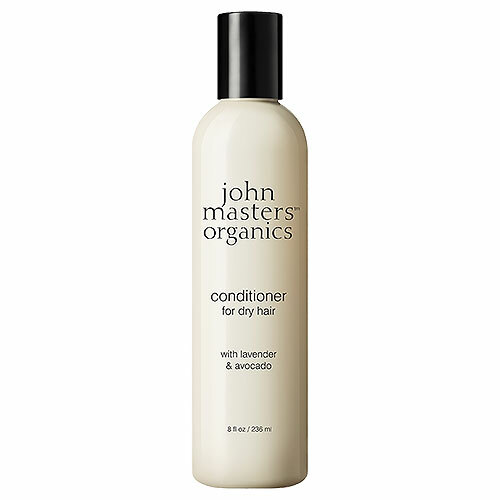 This intensely hydrating, silicone-free conditioner was specifically formulated to help treat dry hair in multiple ways.